JYJ’s Kim Jaejoong and Kim Bada (formally) from Sinawe. An unexpected pairing yet there is no awkwardness between the two. 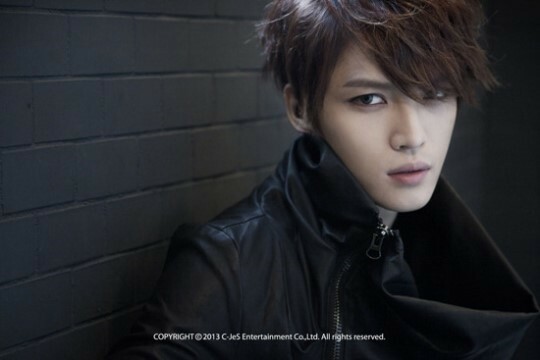 Kim Jaejoong released his first solo album “I” which was co-produced by Kim Bada as well as Shaun of The KOXX. It is the result of an equal blend of things that he likes, things that he is good at and things that suit him. With various labels such as a member of JYJ and rookie actor, he probably feels the burden of these titles. However, as he releases his first solo album, his top consideration was simply wanting to try to do it because he liked it, and wanting to try to do it (for his fans) because they liked it. Kim Jaejoong, whom we met for a round interview on 21 January, spoke frankly about singing rock without “the pressure of it being something (he has) liked since (he was) young”, and about his feelings of wanting to “fulfill the wishes” of the people who have supported him all this while. – You chose songs from the rock genre in your first album. Jaejoong: I’ve been singing rock songs a lot since I was young because I like it. Even during our group activities, I would always cover Korean rock songs for my solo stages during our concerts, and a solo single I released in Japan was also a rock single. Although there were many opportunities for me to showcase little bits of rock through that way, I didn’t expect that we would go with rock when I ended up making my own album. I just had a lot of thoughts of wanting to try doing it. Fortunately, many outstanding people such as Kim Ba Da welcomed and helped me, so we were able to produce a good album. – It seems you were a little worried about doing rock. Jaejoong: Because it’s not I have done rock from the start, there was the pressure regarding (people’s) prejudices and preconceptions. But I am relieved that everyone looked at it with a very open mind. Rather, the thought of having make rock fans or the general public go, “Oh, it’s a good song” when they hear my song was very helpful. – Since it’s your first solo album, you would definitely have a lot of things you want to show people, but what is the thing you focused the most on? Jaejoong: I think this album in itself is my message. Because it holds the stories I want to share through a genre that I have liked since I was young. “One Kiss” is a metaphorically expressed love story, “Mine” bluntly expresses the message of the experience of difficult times, and the courage and (the want) to sprint forward that comes at the end of it. “Comfort For Myself” talks about things that may happen to anyone in love, and “All Alone” is and expression of emotions. I wanted to express my thoughts through different ways like this. I think that people who have bought and listened the album would notice that each song has a different voice and way of expression. My voice can be customised (laughs). I think that vocal trainers who believe it is best to sing without embellish your voice will really dislike my type. But it is my wish to sing using a voice that is required by that song. I hope everyone will be able to listen and feel the difference for yourself. I also hope that the lyrics will be able to touch the heart of the listener. – Beginning with Kim Bada, who composed “One Kiss” and “Mine”, The KOXX’s Shaun and Pia’s Hullang also participated (in the production). Jaejoong: I didn’t know Kim Bada and the musicians who did the band sessions personally. I met them by chance through a friend, and we’re now good acquaintances. In the beginning, I asked Kim Bada if he could please write one good song for me. I thought he might not be willing to, but he really wrote it for me. The first song he wrote for me was “One Kiss”, but once I knew I wanted to sing it. From what I know, Kim Bada has never written a song for someone as young as me, and who is doing rock for the first time. But he was really active in helping me. – What kind of advice did Kim Bada give you during the recording? 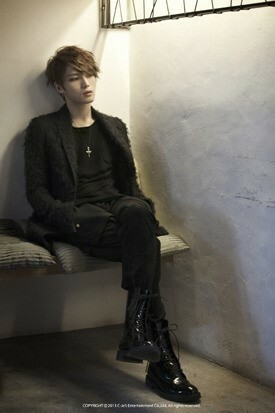 Jaejoong: It was very different when we were working on “One Kiss” and “Mine”. For “One Kiss”, he helped me grasp each of the vocal tones. The vocalisation was different from when singing regular pop songs, there was vocalisation, techniques and expressiveness required for rock songs. He taught me all of those so I learnt a lot while working on it. On the other hand, for “Mine”, he left me to do the things I wanted, the way I wanted to. This is why for “One Kiss” there was a little more weight and a more solid image, whereas there was more change in my voice for “Mine”. When I told him that I wanted there to be more change, going between Bel Canto (T/N: “beautiful singing”) and a huskier voice, he very readily agreed that it would be good. Hence, recordings went without interruptions and it flowed like that of a live performance. – It seems difficult to learn such techniques in a short span of time. Jaejoong: I kept practicing my vocalisation inside the recording booth. It was hard because Kim Bada wanted a vocalisation with a lot of “scratch” to be shouted/screamed out, but I couldn’t make my voice come out in that way. It felt like during my rookie days when I met a really scary composer while recording my first song. Actually senior (Kim Ba Da) did not come off as scary at the start. He really tried to make me feel comfortable, and perhaps because I’ve always seen him on MBC’s “I Am A Singer”, he seemed like someone I had met a lot. But after that when I met him in the studio he was a little scary. I didn’t know he had so many tattoos on his body (laughs). However, even though the recording process was difficult, when listening to it after we were done recording, everything was resolved since the result was good. – On the other hand, we are also curious about Kim Bada’s reaction when he first met you. Jaejoong: At that time, because I wasn’t able to wash up properly before that, my appearance was a little…(laughs) Although it was our first meeting, it was not awkward at all. While “One Kiss” is clearly different from Sinawe’s songs, I feel that in some ways it has the dreamy feeling similar to (the songs from) senior (Kim Bada’s) other group, Butterfly Effect. As soon as I heard the song, I gave a very big reaction because I really liked it. Kim Bada responded with a soft smile. From then on, all the walls were broken down (laughs). – As with the direction that you wanted to work towards as compared to what Kim Bada (had in mind), there must have been time when the ideas of the different people participating in the production had to be put together. Who took the initiative when decisions had to be made? Jaejoong: Kim Bada played the role of the leader. He really participated very passionately, even with the different bands that came in to play. Usually he leaves once the time is up, but after hearing the band play, he kept asking them to go again, saying, “No, this won’t do, we have to do it again.” Even when representatives from the agency said it was really outstanding, he would said, “No, we have to do it again.” (laughs) I feel like such good music could be produced because of that passion of his. It was my first time experiencing a production process like this one. Usually the process is such that there will be a demo instrumental, and the vocals are fit in perfectly before we move onto doing the (band) sessions. But Kim Ba Da does the (band) sessions 100% perfectly, before the vocals are added in. He thinks of the instrument playing as extremely important. Because of that there was also some pressure to handle the vocals perfectly as well. As the instruments were so well played, I get goosebumps just listening to that. – With the exception of “You Fill Me Up”, you wrote the lyrics of all the songs yourself. Was it burdening to be talking about your own stories? Jaejoong: There was no pressure. I think the direction for the entire album this time was formed by coincidence. As I wrote “All Alone” myself, my emotions were naturally included in it. Although “Mine” and “One Kiss” were composed by Kim Ba Da, he encouraged me to write the lyrics myself since he said that expressing yourself freely is very important in rock, and it would be best for the person singing to sing a message that he himself wants to send. – In the title track “Mine”, there is a line that goes “Don’t come here / This is my ocean (T/N: bada)”. What does that mean? – From the lyrics to the music video, “Mine” seems to be the most intense song in the album. Did you hesitate when choosing it as the title track? Jaejoong: I really thought about it a lot till the end, right before we filmed the music video. Thoughts that perhaps “One Kiss”, which would be more easily accepted by the general public, would be a better choice. Conversely, as “Mine” is a very strong song, people will either love it or hate it, so I also thought it might be a little risky. However, considering that the music video will be filmed for the title track, I thought that aside from the music itself, the song with more colours that could be expressed through the video was “Mine”. – Crows and snakes appear in your music video, it seems as though the overall concept of ‘Mine’ is connected to the situation you’re currently facing. Jaejoong: Well, I guess so. Having snakes across my body represents something that is constantly strangling me, while running through a flock of crows represents confronting and overcoming something dark. The dog barking, is just what it is. (laughs) But it also means that no matter what, I’m okay. It is also an expression of confidence in my courage. Although my world is small, I am happily and freely alive in it, so don’t mess with me. It’s not about feeling injustice or that it’s hard to bear. Since the song is a strong one to begin with, the lyrics came to me naturally. “One Kiss” on the other hand had to be edited. I had to completely rewrite what I had written. – You are also working as an actor now, so do you worry that the strong image that you present with your music will lead to a prejudiced opinion about you? – We’re all really anxious to see the rocker side that you will probably be showing at your upcoming concert, but do you have any “secret weapon”? Jaejoong: Ah no, actually we haven’t made a decision on how we should do it. Honestly, all this time I haven’t been wearing many accessories, or dyeing my hair, and trying to live a life with as much self-control as possible. This is because I feel like it would be better not to deck yourself out as an actor. When I get a new project and start acting out that role, I feel so exposed, as if there are no embellishments, but I’ve found that I really like it when I realize that, that is me, giving everything I have. However, for this album, I want to show the fans a stage that is a feast for the eyes and ears, so I will deck myself out on stage with everything that I have been holding back until now (laughs). ― In the music video you wore a horn-like headpiece, which left a great impression. How much participation did you have with regards to the concept and idea behind the styling? Jaejoong : I personally gave a lot of ideas. However, the director of the music video Lee Sang Kyu also prepared a lot of small props for me. When we were first deciding on the theme, I asked the director if he could read the lyrics and think about what would be suitable (for the music video). And the next day, he brought with him themes such as imprisonment, repression and freedom, and the dark angel, vampire, locks, horns and masks came out with it. I think he prepared a lot of things that really managed to express the song lyrics. ―After the release of the album, what has been the most impressive reaction that you have seen or heard so far? 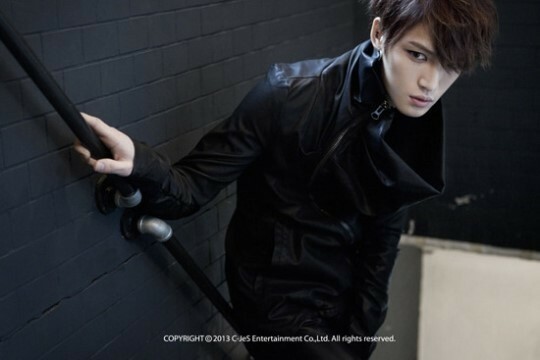 Jaejoong: It was the comment “This music video has every concept that I had thought I wanted Jaejoong to do.” that someone had left on some website after watching the music video. This is because I really wanted to live up to the expectations of those who love me. Actually, there are many different things that the fans want to see from me. There are people who came to like me for my appearance, those who became fans after watching my drama, those who have liked my voice from before. And then there are those who like me slimmed down, and those who liked me for my previous muscular self. Therefore, I really wanted to fulfil each and every one of those hopes, and I think I managed to do so with this album. All five tracks are songs that both people who like quiet and calming songs and people who like intense songs that pull at the heart can listen to. The music video shows a variety of images so what should have taken a couple of years has been cut by a whole year. – What if you had to choose a song that you liked the most (from this album)? Jaejoong: I like all the songs but, hmm… among them, I’m especially attached to 2 songs, “One Kiss” and “All Alone.” Actually, the song I’m listening to the most now is “All Alone.” If I listen to it before going to bed, I can sleep better (laughs) To be honest, ‘All alone’ made me sad, ever since I started drumming the keys on my piano. It is a song that isn’t so concerned with vocal techniques,tones or rhythm, but focused on communicating the emotions. “One Kiss” is a really great song, but it was really difficult to record, and the lyrics were the hardest to write, and it gave me a headache. I usually write songs at night, and this was the first song that I wrote in the daytime. Although saying this may be so embarassing that I won’t be able to bear it (laughs), it was one afternoon, I was in my studio and I totally couldn’t write any lyrics so I closed my eyes. I could feel the rays of sunlight from between the curtains falling on my face. Then, even with my eyes closed, I could feel a black object going through the space between the curtains, and it was as if a hand had been extended out from the sky. At that moment, I had a “ping!” moment in my head and could write the lyrics smoothly. – What were Junsu & Yoochun’s reactions to the album? – Junsu released his solo album first, and his world tour was a great success. We’re interested in how you plan to do your activities this time. Jaejoong: I’m really jealous of Junsu. The fact that he was able to hold a solo world tour successfully is amazing by itself. I wanted to try to do the same thing, but since there are only 5 songs in my album this time it isn’t enough. – It isn’t just the Korean fans, but also the Japanese fans that have been waiting for you. Since you (JYJ) have won the lawsuit against Avex for the nullification of the exclusive contract and compensation requests, I’m guessing there will be some changes with regards to activities in Japan. 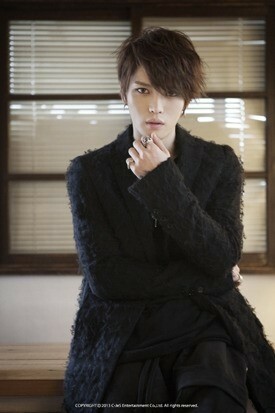 Jaejoong: The first thing we would want to do is to meet with our Japanese fans via a concert, and show them our performance. With the ruling of the lawsuit, if we are able to distribute our records without restriction, we would want to release an official Japanese album. I’ll be happy if we can appear on TV shows as well.